The Carolinas are bracing for the storm of a lifetime as Hurricane Florence rumbles toward the shore. The storm is utterly massive—some might say tremendously big and wet—but it’s hard to truly grasp the scale unless you can see the entire beast at once, and to do that, you need to go to space. European Space Agency astronaut Alexander Gerst has us covered there. 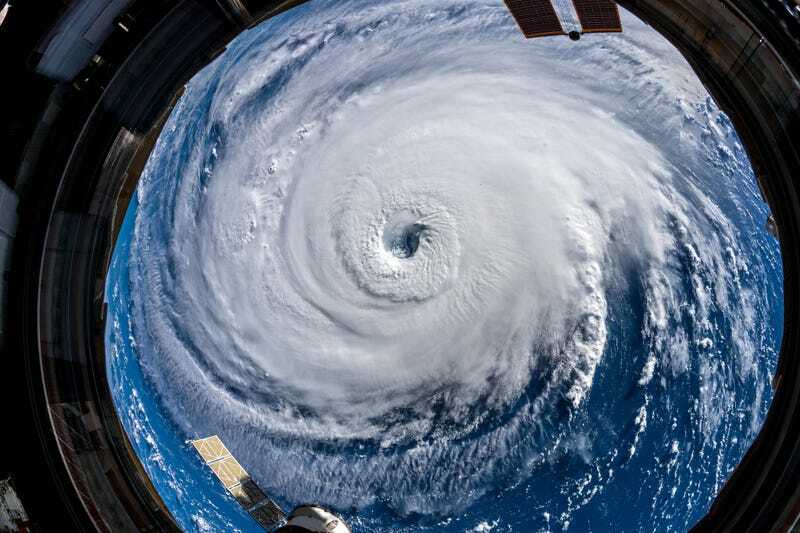 Using a super-wide angle lens available on the International Space Station (for this exact purpose, I presume), on Wednesday he snapped a series of images of then-Category 4 Hurricane Florence that are equal parts awesome and terrifying. The storm is 400 miles wide, about the distance from Washington, D.C. to Charlotte, NC. 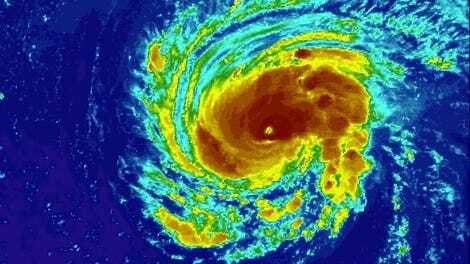 It has been weakening somewhat as it moves toward shore and was a Category 2 hurricane as of the latest National Hurricane Center advisory. But that doesn’t make it any less dangerous to people in the Carolinas, especially given the expectation that it will slow as it reaches the coastline, lashing the same regions with wind and water over and over. Several feet of rainfall and surges up to a story high are expected along the coast, while catastrophic flash floods could reach all the way to the Appalachian mountains. The eye of the storm on September 12. Staring into the depths of Florence’s eye.